It’s that time again! Spring is winding down and we’re gearing up for one of our favorite conferences, HR Tech World Congress. You may already know that PeopleDoc is a veteran, many times over, of HR Tech World events in Europe -- and this year, we’re thrilled to be a sponsor for their first-ever North American conference in San Francisco, CA, June 14th - 15th! Our team is pumped for a great 2 days at HR Tech World, but we also know that attending a conference can be a crazy time. So to be as prepared as possible, we’ve put together a survival kit for how to make the most out of your time at HR Tech World without draining your batteries*. Let’s face it -- even at a conference we still need WiFi to stay on top of emails and get a little work done. That’s why PeopleDoc is sponsoring the conference Wifi to keep us all online. We’re also sponsoring 2 breaks every day for coffee and networking so you can grab some (necessary) caffeine while you say hello to someone new! On every trip, there’s always something that accidentally gets left at home -- usually, it’s the charger for your mobile devices. Don’t stress! Come visit us at Booth #505 to pick up a free portable charger and USB key. We’ll also have a demo pod there and we’ll be raffling away a Google Home. Come by and enter to win! Make sure you get to see all the speakers you’re interested in by mapping out your schedule in advance! We particularly recommend bookmarking a panel discussion featuring one of our own customers, Steve Secora from IGT. The panel will be talking about how HR leaders today are navigating two very different forces in the current work environment: leveraging more powerful and sophisticated technology solutions and providing a personalized, “high touch” experience to the whole team. The panel is called “Memorable Personalized High Touch vs. Leveraging Software?” and is slated for June 15th, 12 pm to 12:20 pm. Sometimes at conferences, it’s easy to feel adrift in an ocean of vendors and slogans that are all saying basically the same thing. It’s important -- and more interesting -- to find the vendors that are working towards something really different and innovative, setting them apart from the pack. This year, we are particularly excited to present our own innovations. 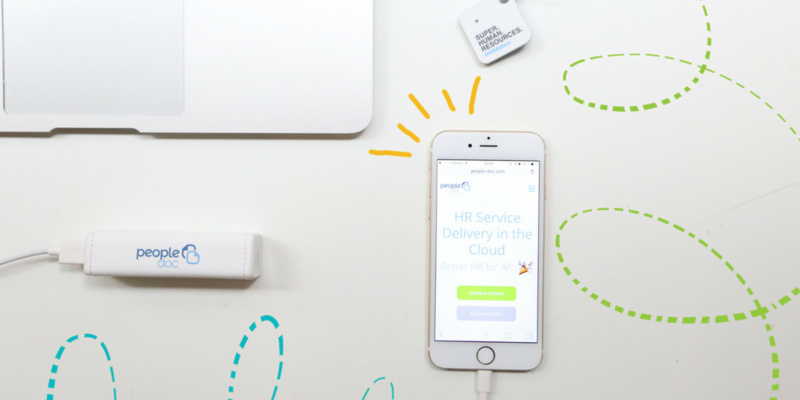 We’re pioneering the future of integrated HR Service Delivery Technology with one cloud-based platform used by 500+ global customers, like Nestle, GoDaddy, and American Express. Our solutions deliver real and transformative benefits that we refer to as Super Human Resources: transforming the employee experience, increasing HR productivity, and ensuring global compliance, all through a single platform. We’re excited to share our work with you! So come by and visit us at Booth #505 this week! We’re looking forward to talking with you about all things HR. [Bonus tip!] Spend some quality time with your peers by attending an intimate dinner, rather than a crowded reception. Laura leads the marketing team in North America. 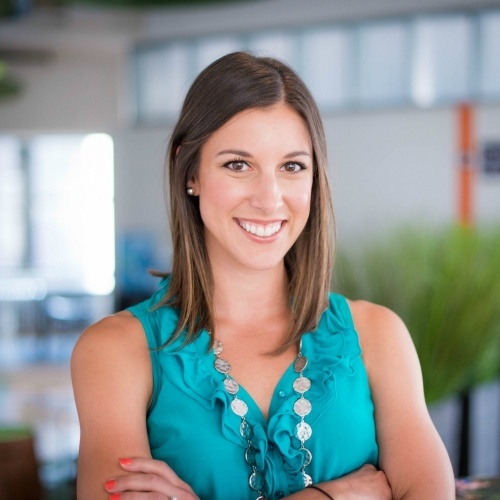 She joined PeopleDoc in January 2015 to help build and execute lead generation and communications programs, with a focus on digital strategy. As the growth of the marketing team continues, Laura is responsible for streamlining marketing operations and infrastructure for global field marketing teams. Laura has experience with bringing technical software solutions to market with prior leadership positions at both IBM and RTTS. She has an MBA from CUNY Baruch Zicklin School of Business, and a BS degree in Marketing from Siena College.